View of the prototype D.H.110, WG236, first flown by John Cunningham on September 26, 1951. 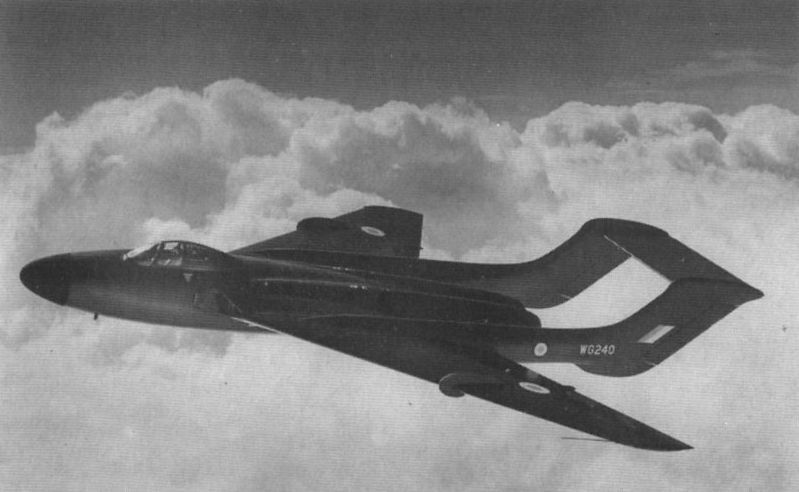 Derry and Richards were to lose their lives in this aircraft a year later. The second prototype D.H.110, WG240, as seen at the 1952 SBAC Farnborough Show. 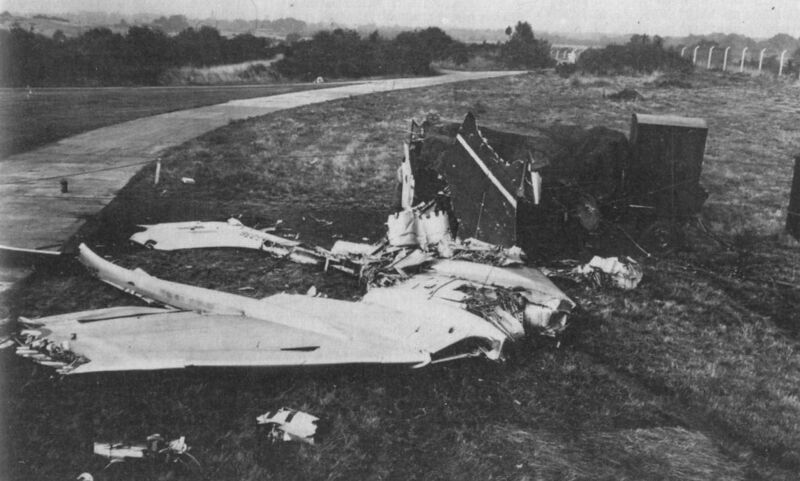 The wreckage of WG236’s centre section which glided down inverted to crash into a mobile radar generator. Massive steel reinforcing strips 12 to 14ft long can be seen on the outer surface of the starboard boom. These were attached after cracks had developed around tail boom components due to lack of stiffness, flutter or aeroelasticity problems. The third D.H. 108, VW120, was powered by a 3,750 lb s. t. Goblin 4 and had a redesigned canopy and more pointed nose fitted. The aircraft crashed in February 1950.